NOTE- As Yearly Readings are Time-Consuming, I do readings only for a few people. If you want reading, get it as soon as Possible as this link will be taken down soon after the slots are full. Tarot Reading month after month for you. This will be based on your Date of Birth and your photograph. Questions can be carry forwarded only within the year, Yearly Readings will be in MP3 audio format. And questions can be asked through mail. Readings will be sent through email, in audio MP3 format. Tarot + Angel Reading + Numerology Reading + Yearly Reading Soul Path + Yearly Reading for your Spiritual Path Reading + Yearly Numerology Reading. This will be a lengthy reading and will take atleast 15days to process. So order accordingly. Readings will be sent through MP3 audio format. Tarot Reading + Angel Reading + Numerology Reading for each area of your life. Like for Health(only general health readings will be given), Relationships, Career, Money, Property/Resources, Spirituality. Along with this you will get Yearly Numerology Reading, Yearly Soul Path Reading, and Yearly Spiritual Path Reading. This reading will take about 20-25 days to process. So order accordingly. Note - This reading is very lengthy and take a lot of time. So buy this a month or two earlier from when you want it. The health part of this reading will cover only general health adivce, and nothing about any disease. 12 months Tarot Reading with Tarot, Angel Cards, Numerology. 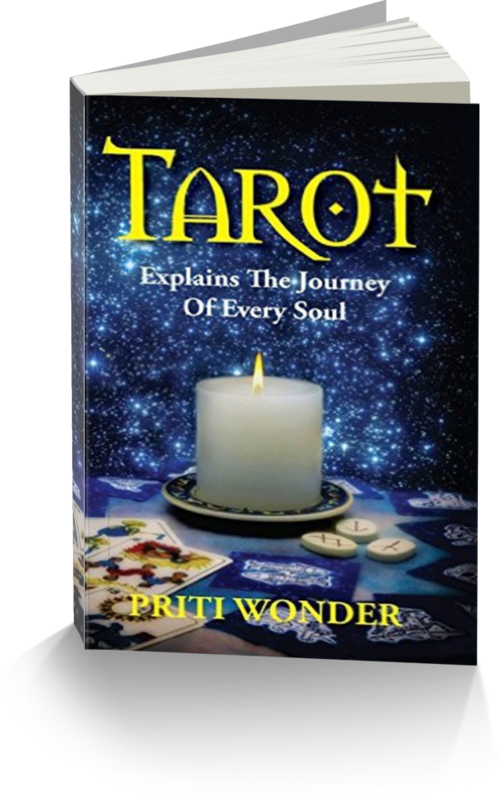 Everything in Diamond Package plus 3 Questions assistance with Tarot for each month with Tarot. If you have taken Tarot Readings from me, then you might be wanting more readings on regular basis. And ofcourse I would like to give you a discount on that, as you trust in me. For guidance for your life, and want to buy bulk readings for a Year. Subscribe Tarot Readings, for a year and get a massive discount on readings. - You get 60mins reading or 10 questions every month. Plus two bonus questions, as you know 10 can be less sometimes. - You can also get a recording of the reading, for future reference. - You need to pay first for the full year, oh yes... Full Year only then I can give you this big discount. - You also will need to provide me your Birth details like- Date of birth, place of birth, current place of residence, picture of face without sunglasses. If reading involves other people, then include their details too. Price - Rs.11,999/- or $ 199 USD.